International G.I. 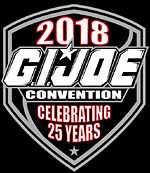 Joe Collectors' Convention - GIJoeCon 2018! 06/28/2018 - Thank you all SO VERY MUCH! GIJoeCon was INCREDIBLE! We, here, all had a great time and we hope you did as well. 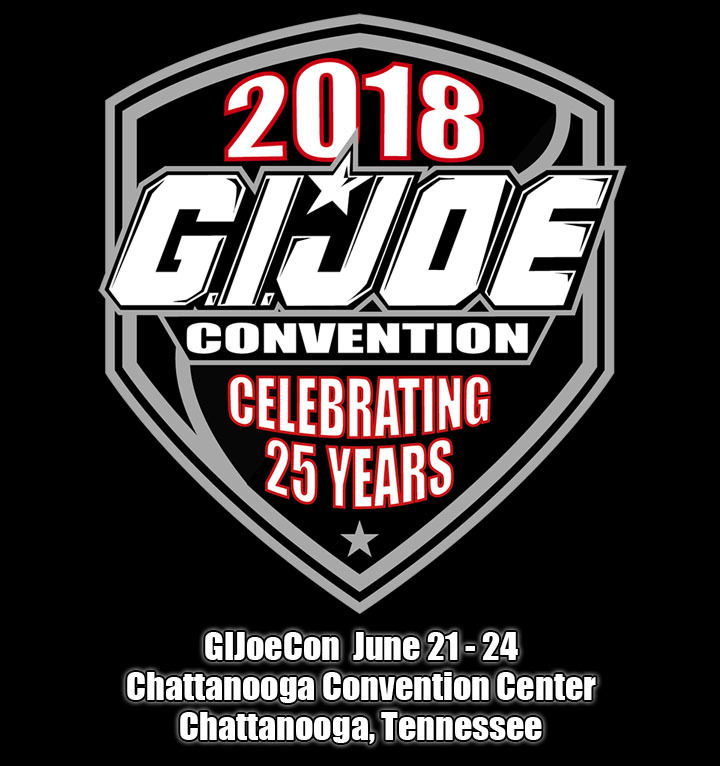 The strength of the friendships forged at GIJoeCon over the years has never been more evident than at this last historic event hosted by the GIJoe Collectors' Club and Fun Publications. Please check out the image galleries at the link in the main menu as well as even MORE photos on the convention Facebook page! 06/15/2018 - We have loaded the truck with all the G.I. Joe convention exclusive goodies and it will arrive next week for our 2018 GIJoeCon celebration with you all. Make sure you read the full Schedule of Events and we have also added the Seminar & Panel descriptions for you to make your daily plans at the event! If you need transportation from the airport, please check the tab on the left side menu for information. See you all in Chattanooga, Tennessee! 06/11/2018 - Hello GIJoeCon Attendees, We will be seeing you guys and gals in just a few days. It has come to our attention that through banter on the internet that some folks are not sensitive to what is going on in our society today. Please be RESPECTFUL of the CosPlayers at the show. They are not to be touched or harassed in anyway. Common courtesy dictates that you should ask to take their picture before you do so. In addition, remember that this is a family event and all costumes should be in accordance with family values. If you have a question about your outfit, the answer would be, find a different one. In addition, please remember that there are no prop weapons allowed. Thanks for being smart and thinking before you cause yourself and someone else embarrassment. 06/04/2018 - Our 2018 GIJoeCon celebration is a mere two weeks away and we have posted the full Schedule of Events for you to make your daily plans at the event. We have many great Panel presentations and Special Guest autograph sessions each day. Also, don't miss out on our final 3 3/4" parachute figure drop on Friday, June 22nd! Click on the Schedule menu button for full details! 05/17/2018 - We are very excited to announce that Larry Selman will also be our guest artist for the official 2018 convention! 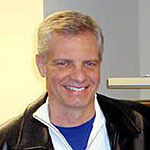 He specializes in realistic military artwork and produced over fifty paintings for Hasbro’s G.I. Joe 12-inch Classic Collection. In addition, his art has adorned several of our official GIJoeCon 12-inch boxed sets, including the 2018 Green Beret Machine Gun Outpost. Get more details about his illustration work by reading his full bio on the Guests page! Also, the Staybridge has added a few more rooms to our block. Available rooms will only be held until May 30th! 05/15/2018 - We have posted a preview of the box artwork for our 3 3/4" GIJoeCon Boxed Figure Set! It features the full Slaughter's Marauders unit on display: Sgt. Smasher takes the squad leader position with his highly specialized soldiers for a fast attack, ground assault into enemy territory to combat the devious COBRA forces of Python Patrol. Click on the Con Exclusives page to see the preview of the 3 3/4" RAH box artwork! 05/11/2018 - It's that time once again customizers and G.I. Joe fanatics! The GIJCC Official Convention is just around the corner, and we have the details on this year's Custom Class character and build. You will be adding a much requested character to your squad with our Red Shadows Trooper! Included in the kit this year is a BRAND NEW updated head sculpt by longtime collaborator Gigabread as well as a unique (secret!) original sculpt weapon for completing the figure during the class. The kit also includes an assault rifle, satchel charge, torso and hardware, bloused BDU skirt and removable harness. See a full preview of the figure parts and read more details about the parts needed from the Customizing Class page! 04/30/2018 - We are pleased to announce that our guest artist for the official 2018 convention is Adam Riches! Since 2013, Adam has illustrated the packaging art and file cards of over fifty G.I. Joe action figures for the official G.I. Joe Collectors' Club. 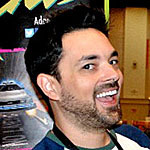 He also currently works for IDW Publishing, where he has illustrated comic book covers for several Hasbro titles including: G.I. Joe: A Real American Hero, ROM, Micronauts, and Revolution. Get more details about his illustration work by reading his full bio on the Guests page! GIJoeCon copyright © 2018, Fun Publications, Inc. All rights reserved.